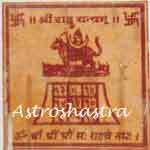 Rahu Yantra is tp appease Rahu and remove its malefic effect. It being a malefic in chart indicates irreligious pursuits, adultery, faulty logic, sinful deeds, wickedness, royal status, pilgrimage, foreign residence, old age, poison, snakes, reptiles, air, space, sudden disaster, difficult terrain and south-west direction. It is a shadowy planet, fisher-man by caste, a female, a Mlechchha, i.e., of wicked disposition, moves in apasavya direction, is courageous, malefic, inhabits mountains and forests, and causes epilepsy, pox, worms, suicide, leprosy. It also concerns itself with chronic and incurable diseases, insanity, phobias, snake bites, non-healing wounds, etc. It is malefic, very similar influence to Saturn. If a planet by virtue of its position and lordship is capable of producing good results, If involved with a close relationship with that Particular planet would magnify beneficial results in important sectors such as politics and public life. It generally gives good results if placed in the third, sixth, tenth or eleventh angles. The energized yantra is to appease it. When Rahu is malefic, the use of it is very benefic and favourable. It is embossed on Copper plate and indicates sucess in business, Victory over enemies, and all round success. It is considered highly malefic planet. It is the cause of solar and lunar eclipses. The two luminaries, the Sun and the Moon, suffer intensely by association, particularly a close association, with either of these two malefics which constitute the Rahu-Ketu axis in a horoscope. 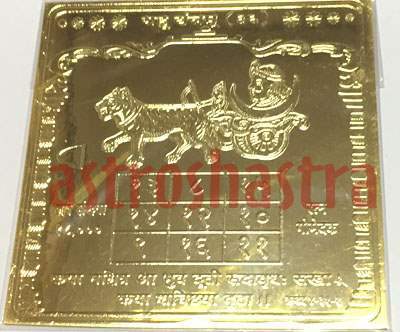 Puja of Rahu Yantra is highly auspicious. 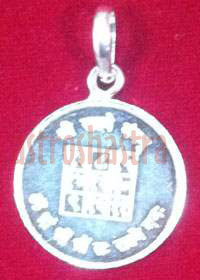 It is available in Copper with Gold Plating , Silver Pendant and Bojpatra. 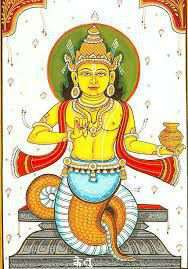 Astroshastra has mentioned various other remedies to appease Rahu online. 1. Very Effective in Removing Malefic Effects of Rahu Mahadasa. 2. Improves Concentration and remove flickry thoughts. 3. Helpful in removing fear of snakes in dreams. 4. Helpful in settlement abroad.
" Om Bhraam bhreem Bhrong Sa Rahve Namah"